Some student days of Prof. Pat Larkin at UCG – 1920. 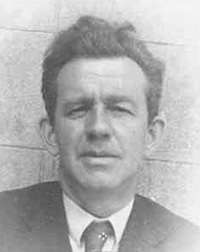 Once “detained at his majesty’s pleasure”, Professor Pat Larkin B.A., was the second holder of the Chair of Education at University College Galway (1925-67) and College Bursar (1946-65). Much research will be needed in order to do justice to his very considerable and lengthy contribution to the development of that department. His appointment as Professor was particularly welcomed by the students in 1925. The U.C.G. Annual of 1925/6, a publication of the Literary and Debating Society, wrote of him in its chronicle: ‘Remembering the active part which, as a student, he took in College affairs, we cordially congratulate him, and wish him every success in his new sphere of activity’. 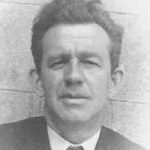 Alone in what was even then a complex Department, he built well on the foundation laid by Prof. Ó Ceallaigh before him. His contribution was essential in the success of the new Degree courses for teachers in the late twenties, and he presided over the appointment, in 1931, of the first Lecturer in Education through Irish, and was a pioneer in what came to be called the technology of education. He was himself a U.C.G. Graduate, having attended the university during the revolutionary decade. It was an amazing time to be a student, compelling, invigorating and on occasion, frightening too. This lecture, heavily illustrated with photographs from the period, provides some family and personal background to one of the pivotal experiences of his days on campus, which found him detained at his majesty’s pleasure; and discusses lessons learned from that experience. Patrick Larkin B.Sc. is a Galway native and a chartered chemist who graduated from University College Galway with a B.Sc. degree in chemistry. He is a Fellow of the Institute of Chemistry of Ireland and of the Royal Society of Chemistry. He has completed post-graduate diplomas in Applied Finance, Systems Analysis, Quality Management and in Archaeology. He has worked as a consultant in the fields of Quality Management and Validation Systems to the pharmaceutical and medical device industrial manufacturing sector. Formerly President of the GAHS, and now Vive-President, he is also a member of Clans of Ireland, the Southeast Galway Archaeological Society, and the Castles Study Group.